Due to the way that Microsoft's synchronization API works, there's currently a limitation on which types of Microsoft accounts are supported by our sync engine. In short, organizational accounts are supported whereas personal (free) accounts are not. 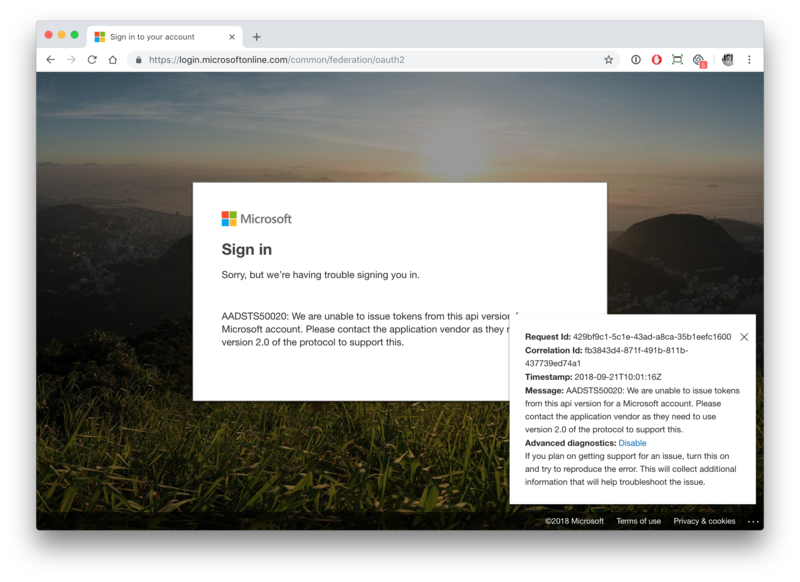 Microsoft is working on bringing Change Notifications (real-time sync updates) to personal accounts, but it's currently only released in their beta version of their API which is not ready for live usage. AADSTS50020: We are unable to issue tokens from this api version for a Microsoft account. Please contact the application vendor as they need to use version 2.0 of the protocol to support this.